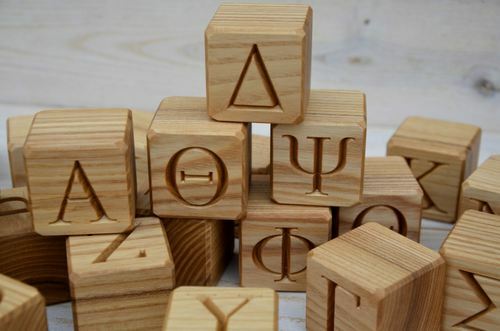 24 Greek alphabet letter wood blocks with engraved letters. 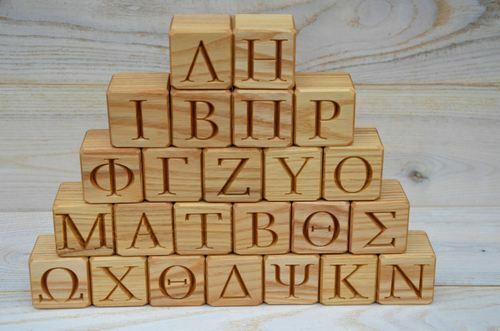 One set of handmade wooden blocks contains 24 pieces of blocks with engraved Greek alphabet on one side or two sides of each block. Smooth surface, no sharp edges. 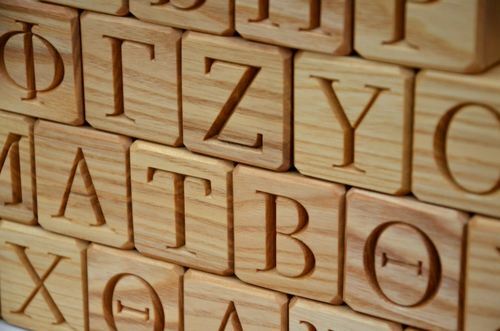 The blocks are made of pine, treated with natural beeswax polish (optional). Packed in a linen bag. It will make a perfect birthday gift. 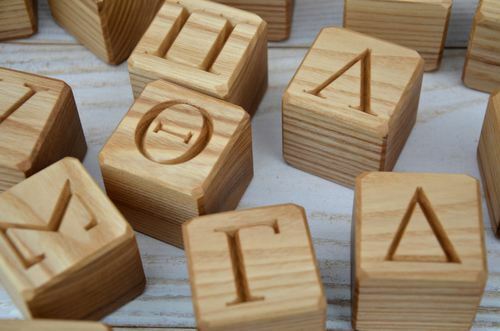 2) Letters engraved on 2 sides of each block (two different letters on each block so that it's possible to make simple words combining the blocks together) If you wish to have the same letter engraved on both sides of the block, please let us know.